It’s not a snap, but the Federal Housing Agency’s 203k program enables homeowners to finance home improvements as part of their FHA-insured purchase or refinance loan. How much? It depends. How does it work? It depends. Yup… it’s a government program. But even with record-low mortgage rates, the FHA, which guarantees owner-occupied mortgages made by private lenders, has become the mortgage of choice for risk-averse lenders. That alone makes the 203k program worth checking out. – Your new best friend is the 203k inspector. 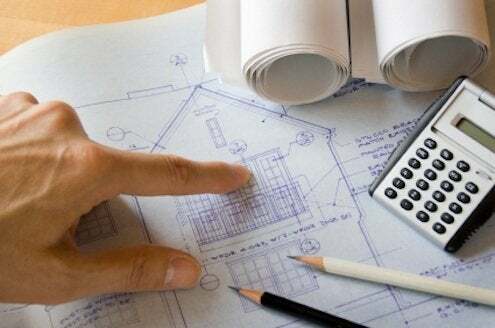 Because the renovation funds are wrapped into the total loan (not issued separately), an FHA-approved inspector must examine the house and the proposed project to make sure that it all supports the total value of the loan. These inspectors are typically home inspectors with FHA superpowers, so working with them is an extreme version of working with the average home inspector. – How the process works changes all the time. As a civilian, you can’t possibly keep up with all the nuances of proposed, adopted, canceled and reinstated changes. The bad news is that lenders can’t keep up with it either. The key, says 203k consultant Randy Navarro (of The Complete Inspection Company in suburban Seattle) is to choose a loan officer who regularly handles 203k loans. Don’t go just for a lender who handles these loans—there might not be a single experienced loan officer in the entire building. Grill potential loan officers on exactly how many 203k loans they handle annually and speak with the 203k inspectors they work with. A bumbling loan officer can hopelessly tangle an already complex process. “Don’t be a guinea pig for a loan officer,” says Navarro. – Real estate agents are not a reliable source of information on 203k loans. They have even less incentive to stay abreast of complicated rules. And most important, real estate agents have no say in the loan process. – How much you can borrow varies by region, but a good rule of thumb is that the total value of the loan cannot exceed the FHA maximum loan for your region. That means that to make the finances work, you must buy low and substantially improve the market value of the house with moderate, market-appropriate improvements. Bingo! That’s the whole point of the program.